The Garden Route has long been one of South Africa’s mountain biking meccas. With a plethora of trails through the lush indigenous forests and the relaxed coastal town atmosphere proving infectious to all you drive into Plettenberg Bay; it is easy to see why. For riders taking part in the BUCO Dr Evil Classic, this weekend, the joys of three days of amazing riding await. The pleasures do not stop when mountain bikers cross the finish line, at the end of each stage, however. The tranquillity of the forests and the azure waters of the Indian Ocean set the tone for a stress free long weekend off the bike too. It serves as a perfect family getaway then; before the tensions of work, school and life ratchet up in the run in to December. On the bike, riders can prepare for three relatively short days, distance wise. But should be warned, Garden Route riding is never easy; the kilometres covered and meters of climbing tell only half the story. The riding kicks off with a 72 kilometre long opening stage, on Thursday the 20th of September, which features 1 350 meters of ascent. With the longest and hardest day completed riders can relax, if that is their inclination or continue to race for podium places if they are competitively inclined. Stage 2, at 45 kilometres long with 980 meters of climbing is the shortest of the race and is followed by the 51 kilometre long third stage, on Saturday the 22nd of September. 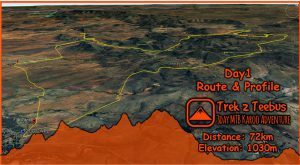 Stage 3 features the least total elevation gain, of the three stages, at just 850 meters of climbing – which should ensure the BUCO Dr Evil Classic competitors are fresh for the BUCO Karoo to Coast on Sunday the 23rd. The unofficial fourth stage of the BUCO Dr Evil Classic, the BUCO Karoo to Coast, is the largest single day mountain bike event in South Africa. Entrants to the stage race which precedes it are guaranteed entries and a preferential starting batch. This is no small matter as the BUCO Karoo to Coast entries sell out fast. On the weather front, it appears that the BUCO Dr Evil Classic will be precipitation free. There is however a few millimetres of rain predicted on Wednesday, before the race, so the trails could well be wet; especially under the canopy of the indigenous forests. Mild temperatures, between 9 and 16 degrees Celsius, are predicted which will make for chilly starts but generally pleasant riding conditions. 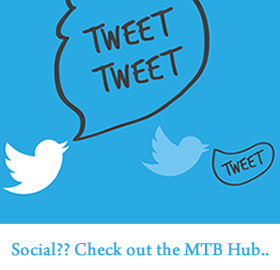 Mountain biking fans, not taking part this weekend, can follow the action as it unfolds from Plettenberg Bay on the BUCO Dr Evil Classic’s social media handles. Fans can follow @DrEvilClassic on Twitter and watch the @drevilclassic stories on Instagram for regular race updates. The event Facebook page, Dr Evil Classic, will feature daily photo albums and highlight videos; while for more information on the event as a whole mountain biking enthusiasts can visit www.drevilclassic.com. The BUCO Dr Evil Classic takes in the scenic coastal trails of the Robberg Coastal Corridor – a highly environmentally sensitive area – on the third and final stage of the race. Photo by Daron Chatz. The mix of gravel roads, jeep- and single-tracks makes the BUCO Dr Evil Classic the perfect event for riders looking to enjoy three days on their bikes as well as those wishing to race for podium places. Photo by Jetline Action Photo.